Having a Domain Name, The Domain, Do I Need it Is it For Me. This is a question that many of us ask. Many of us are online sellers who are always looking for ways to improve what we do, what we sell, and getting ourselves noticed just a little bit more each time. Along with all of this processing we consider what venues to sell with, how many places should we sell at, where do we show all of our products being offered. Then, there is the issues we need to work out considering if we should have a website, a blog, social medias, and don't forget also if we should have a domain name, shall we have hosting, and so on. This all takes work, and a lot of time. Once decisions have been made, and we work with them we can see results from it all too. So, what is it. Should we buy our own domains. Like many of you I often questioned if this was another step I needed to consider. Is it necessary, is there benefit to it for me, and again how much is this going to cost me if I decide to do it. I considered many different things with it. Then, I researched it a little bit, considered if it was time for me to keep up with the pace of things, was it time to upgrade to this next level, and decided that this was about Me, what I was doing, and to go ahead and take the plunge of having a domain. I now own about 5 domains for my LilacsNDreams name. I am happy I have done this, there has been a small cost, but I have also seen the benefits with doing this too. 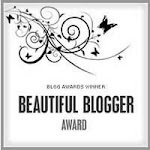 1) Use your Blog - I have directed one of my domains to my main blog here. Much easier for customers, and followers to remember. Made sense because my Blog is the "hub" to all things I do, links, and etc. I decided to also have a domain that directs to my Lilacs Shoppe page here as well. Having a domain looks really nice on the business cards, is much easier, and a little bit shorter for me to write out too. Gives it more of a business feel, and that you are serious about what you are doing as well. 2) Landing Page - Show information about yourself, list your links, note your web pages, maybe note the different venues that you sell with, show information for your social networking that you might do, and so on. Having a domain would be a great thing to have for those who maybe have multiple Websites, multiple Blogs, multiple Venues that you sell with, etc. Having a designated domain for this is a wonderful landing page to have for everything in one place. 3) Professional Page - Having a domain will also help with the appearance of your Online Business, Would be beneficial for the person who is a Writer, could also help with those maybe who Coach or do Consulting, and etc. Having the YourName.com makes it easier for people to find you, remember your name, and gives the sense of you being serious about your profession that you have chosen to do as well. Another thing to consider is the Domain Name that you wish to choose. There are many choices, and ideas in the choosing process of this. For instance, some might prefer to use their own personal name. A writer is a good example for this. Many will choose their business name they have with selling as their domain name which is good in helping you brand your name as well. After considering the name then there is the decision of which service should you use. There are many out there, many opinions for all of them, some like this one, and some like that one. Choose what is right for you, what you are comfortable with, and the one you feel will benefit you with your needs. I chose GoDaddy.com for my domain services. I found them to be much easier to navigate with when I wanted to redirect my domains to a landing spot. Maybe I direct one time, and then change my mind. It takes but a few minutes to sign in to redirect, and do what I want done with it. My fees for my domain name are minimal compared to me having a website, the hosting fees for a website, the shopping cart, payment services, and so much more. I pay a yearly fee for my domains, and generally am offered special prices that I could also renew them for 1-2-3-4+ years as well. I have chosen no hosting services for what I am doing at this time. 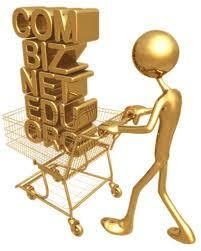 Some use domains for blogger, wordpress, have them directed to some of the free websites like with weebly, and so on. It's your business, your choice, and what works for you that you are comfortable with. So, how many of you have your own domains. Are you happy with the domain choices you made. Are you happy with the service provider that you have chosen. Maybe you are considering it, and looking at your options too. I hope that this little tid bit of information was helpful in ways to help you with what you want, and decide to do. If you have anything to share from experience, remember you are more than welcome to do so as well. Thanks so much for sharing your time with LilacsNDreams everyone. 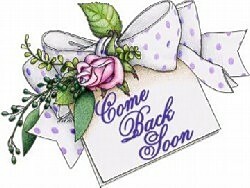 Have a wonderful Tuesday, and see you all back again soon. My domain name is also with GoDaddy, they are inexpensive and renews automatically every year. You said you have five domain names, silly question, but that does that mean they are five different names and are they active for different sites? And, like you I also have my domain name directed to my blog. Are you saying we can use the same domain name and have it direct to another web page? I would love to someday set up my own web page with a shopping cart for the items I sell and from there direct to my blog and other pages. LOL:) Victoria...I didn't specify, and I apologize for that. I am using the same name everywhere....I have had this name since 2004, and it is sooo hard to come up with anything different with the internet now. Anyway, what I had done is at GoDaddy I used the same name - making it a bit harder when people search for names on the internet that this one shows being used - but reserved the ones I found interest with...domains for .com, .net, .org, .info, and...I had the .co one too. You know, that one is really confusing, and I myself did not see much with it in any results. The .com and the .net are the majority ones used. I also see .org used too. For my blog I have the .com as this feels like a website sometimes, and...I just noticed I need to change where my .info is directing to. I have the .net for my free website at weebly along with my .org showing there too. 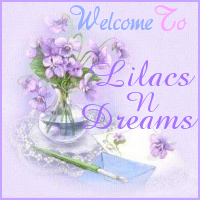 For my LilacsNDreams Shoppe page I chose to get a domain for that one which is using my name, added a word to it - Shoppe, and have chosen the .com for that one too. If you are looking at a website in the future you can direct your .com to it, or you could also pick up the .net for it too. Those are the 2 more popular domains that are used, and chosen.